QTS digital Services offers the modern inclinations in business and consumer-centric mobile applications. After deploying number of apps on different mobile platforms, we are now a professional mobile application development company in Bareilly offering full-spectrum, end-to end services across miscellaneous categories such as business, utilities, entertainment and online portal amongst various others. 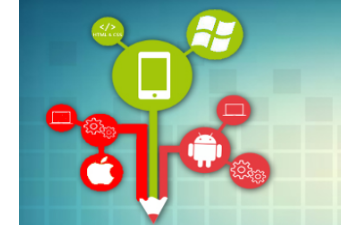 We also offer custom mobile application development on mobile operating platforms like iOS, Android OS & windows OS. We lack no expertise when it comes to developing apps for the newer ones such as smart phones that use the iOS, Android OS & windows OS. QTS digital Services professionals uses only the latest operating systems to develop highly interactive applications that are extremely user friendly and offer functional excellence. We focus on enhancing the ‘captivate value’ of these applications. We have tremendously brilliant and inspired mobile app programmers who work hard to make any app idea a creative and commercial reality for small and enterprises businesses.